After the announcement from Intel that it was joining forces with 'why won't anyone buy us?' Yahoo, the first fruits of this partnership look set to debut. 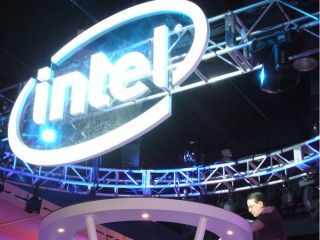 Using the widget channel unveiled at the Intel Developers Forum, which allows developers to make bits and bobs for the set, the company will unveil the new viewing experience at CES next January. Intel is apparently expected to announce more partnerships with service and content to bring content to the TV at the same time, likely similar to the deal with Eurosport Panasonic announced at IFA earlier this year. The plan to break the poisoned chalice that comes with the label IPTV is to integrate it more squarely into the set, making it part of the TV rather than a separate application like a web browser. Given that the likes of BBC, ITV and BT are also teaming up to bring internet-based services onto our TV screens, as well as the long-standing Windows Media Center from Microsoft, maybe the time for TV and internet together is finally upon us.